Electric Vehicle Day on Saturday, September 15, 2018, was a success! Thank you to everyone who made our sixth annual event a success! You are helping to lead San Diego to a cleaner, more sustainable future. 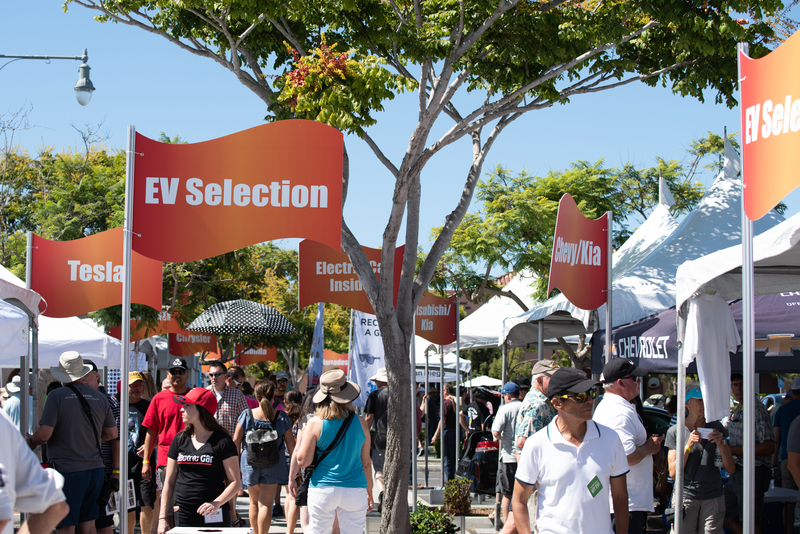 Thanks to the enthusiastic participation of local residents and vendors, Electric Vehicle Day San Diego, which took place at Liberty Station on Sept. 15, 2018, again set a record. In terms of registrations, our EV Day event was the largest National Drive Electric Week (NDEW) event across America AND the world. According to the NDEW website, there were 321 EV Day events in 296 cities, spread across 50 states and three countries. And in case you are wondering, we are already planning EV Day 2019 to make it bigger and better. Stay tuned!